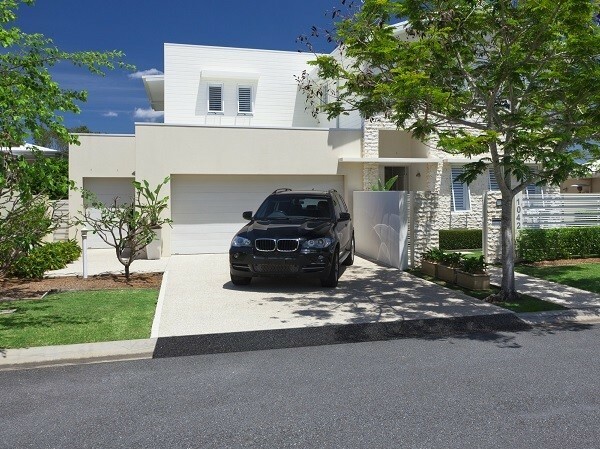 Why risk damaging your car every time you use your driveway? Stop bottoming out. This do-it-yourself driveway ramp kit bridges the gap between the driveway and street for a smooth entry and exit. 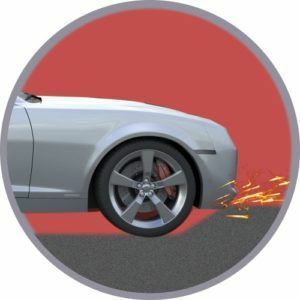 Rolled curbs send a jolt through your car when you enter and exit your driveway, causing damage to your tires, steering, exhaust and bumpers. 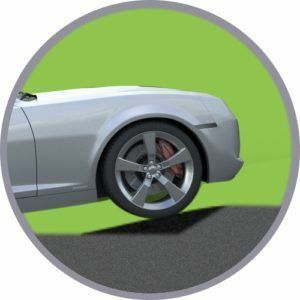 Curb Ramp™ allows your car to glide smoothly over your driveway curb, reducing the shock impact and damage to your car from scraping bottom. Curb Ramp™ comes in 40 lb units and adjusts to fit around all-sized driveway curbs. Similar a professional running track, Curb Ramp™ is built to withstand harsh weather and heavy traffic. Curb Ramp™ can also be used to patch potholes in asphalt or concrete. 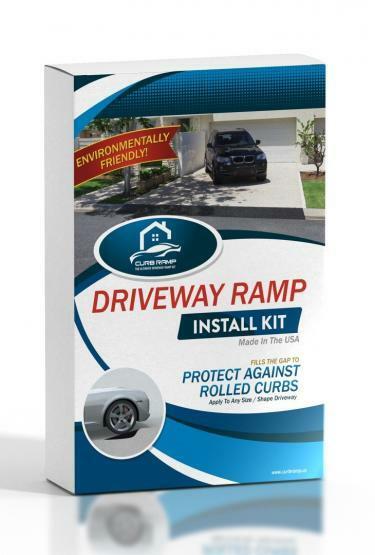 The Curb Ramp™ compound is made from recycled post-consumer products. 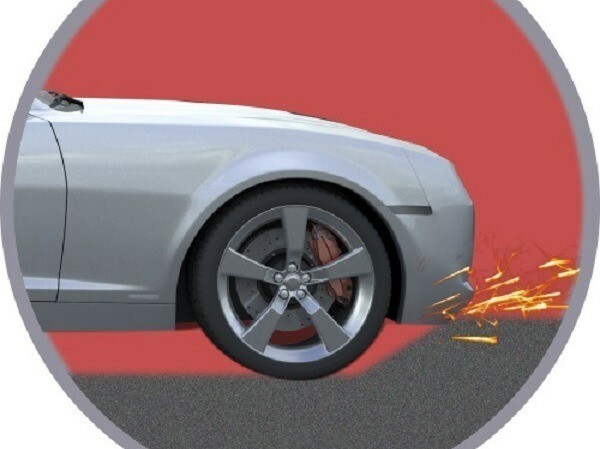 Curb Ramp™ prevents bumper scraping, reduces damage to steering and helps increase gas mileage. I had my landscaping crew install Curb Ramp and two days later my neighbor ordered some - they installed it for him too! Two thumbs up! Made in the USA too. Cheers. I used to cringe every time I backed out of my driveway because I knew the scrape was coming.. I bought Curb Ramp and had my husband lay it down 😉 He said it was a piece of cake! It works great and I’m just glad I don’t have to worry about messing up my new car every time I leave for work and come home -- highly recommend! I drive a 2006 Mustang GT and my driveway has a steep hill. My car always use to scrape when I backed out of the driveway. After it messed up my steering and bumpers I started looking into solutions. The pre-made rubber curb ramps were too expensive so I decided to try Curb Ramp and install it myself. It took about an hour and a half and cost me a lot less than the alternatives. I put it in over 2 years ago and it still looks the same as it did the day I installed it. I have no doubt that I’ve made my money back when you consider the amount I would have paid to get my axle re-aligned and new tires/ shocks, so I’d say it was definitely worth the investment. 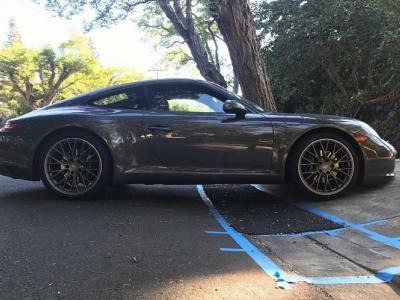 Most curb ramps I’ve come across are ridiculously expensive so I was wondering if there were any cheaper solutions out there. I found this product on Google and called them up and talked to them about my driveway situation. They did the math and assured me that two kits would be enough. 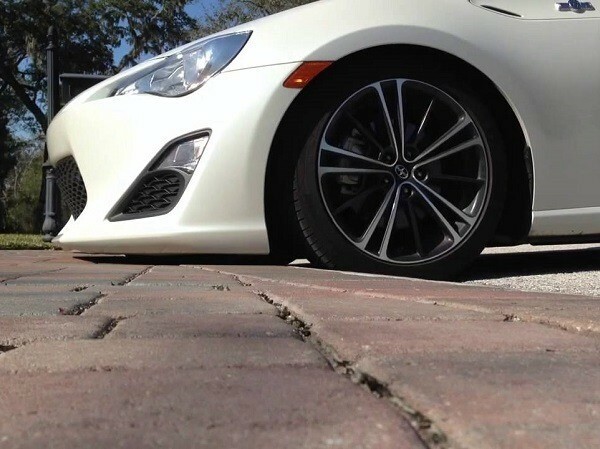 The material was easy to shape to fit my curb and looks really good! My wife loves it and my Benz does too 🙂 The Curb Ramp guys followed up two months later to make sure I was satisfied with the ramp. That kind of customer service is rare! EASILY MIX, SHAPE AND SPREAD TO FIT ANY SIZED DRIVEWAY ENTRANCE. 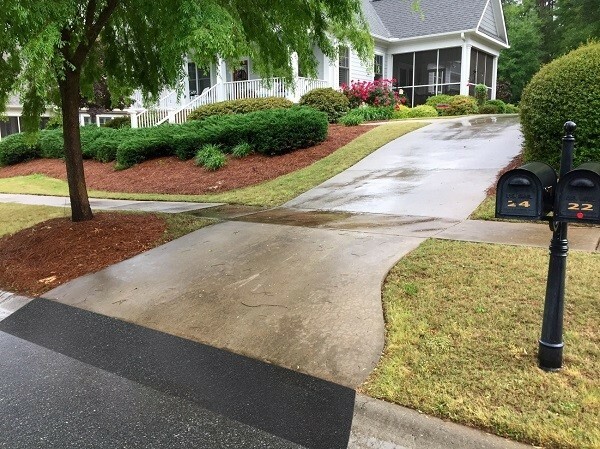 How does Curb Ramp™ compare to other driveway ramps? 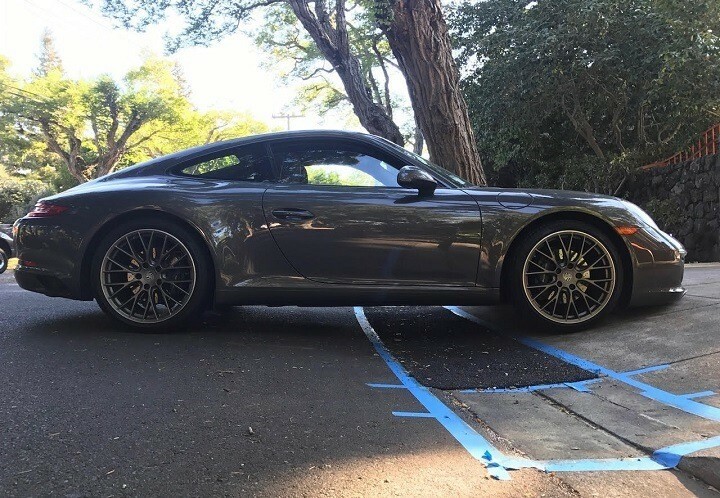 Pre-made driveway curb ramps are significantly more expensive ($4-500+) for the same coverage and cannot be easily adjusted to fit your curved driveway’s rolled curb. Curb Ramp™ saves you hundreds of dollars and offers the ability to make a custom ramp to fit the unique shape and size of your driveway entrance. How do I determine the number of kits required for my driveway? How does it allow for flow of water? The finished ramp is semi-porous, which allows for some drainage already. 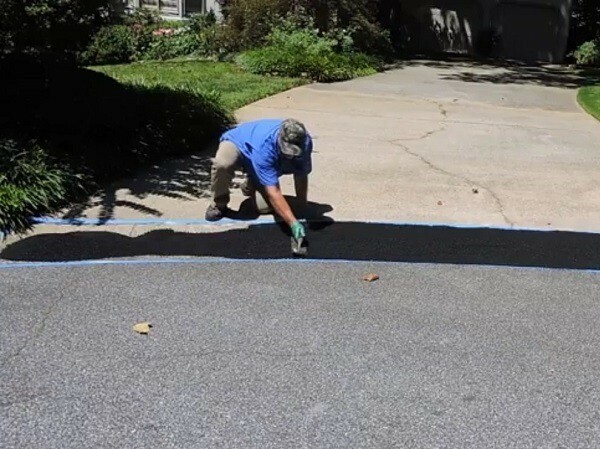 To further facilitate street water drainage at the end of your driveway, shape or “feather out” the ends of the ramp to help guide water safely around it. 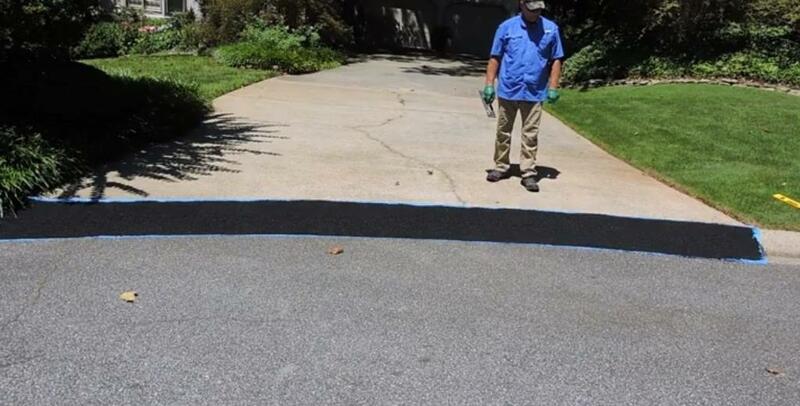 This prevents the build-up of debris so your driveway entrance remains unobstructed and allows water to easily circumvent your driveway entrance and enter back into the curb channel. In other words, don’t make a hard right angle at either end of your ramp. For deeper curb gaps, PVC pipe can be installed underneath the ramp to further aid drainage. However PVC installation is NOT recommended for standard rolled curbs gaps, as it can compromise the structural integrity of the ramp. To install a drainage pipe, simply prime the area before laying a 1.5-2″ diameter pipe laterally in the center of the curb gap. Then apply more primer to the top of the laid pipe and spread the mixed material to fill the gap as you would normally. Curb Ramp™ is made from highly durable rubber and a polyurethane-based adhesive with exceptional bond strength. The cured material is similar to that of a professional running track or playground surface and is made to withstand tough climates as well as heavy vehicle traffic. The first Curb Ramp™ was installed over 15 years ago and is still going strong today. Can I remove the ramp once installed? Curb Ramp™ can be removed once installed using a floor scraper. 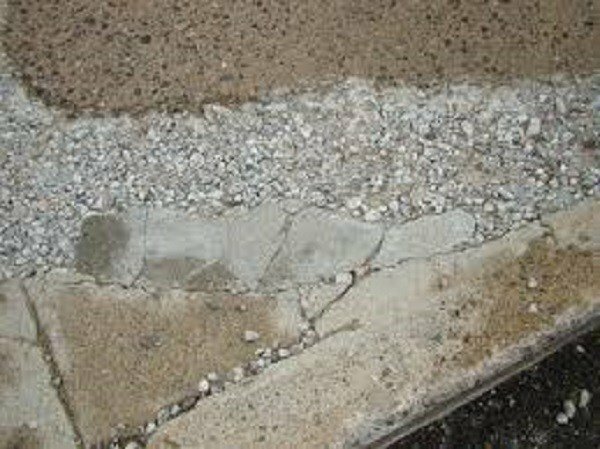 However, removing Curb Ramp™ destroys the bond of the material and thus cannot be reinstalled at a later time. A reinstall of Curb Ramp™ would require a new kit. 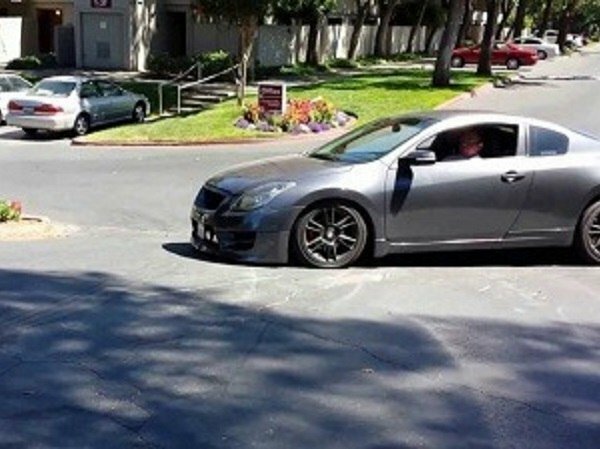 Curb Ramp™ is a much more permanent solution than pre-made driveway ramps. While pre-made driveway ramps are more portable, they are also much more expensive and cannot be customized to fit all size/shaped curbs like Curb Ramp™ can. 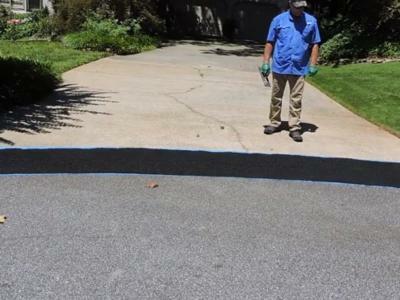 After you perform a dry run and confirm you have enough material for your particular driveway, lay down a protective layer over the curb surface (so as not to prime the curb surface directly) and tape it down around the edges. We recommend using a durable rubber membrane like a shower pan liner, rubber roofing membrane, pond liner or similar substrate. Next, prime the surface of the membrane to ensure a good material bond to the laid substrate. Then, mix and apply the Curb Ramp material atop the substrate to fill the curb gap as you would normally. After 48 hours, your customized Curb Ramp should be dry enough to use. The weight of the material and underlying substrate should provide sufficient stability to keep the ramp in place. Concrete bolts can also be used to fasten the ramp to your curb once the material has cured. If you need to remove the ramp for any reason, you can simply lift it up and move it. How can I be sure the Curb Ramp™ will fit my driveway? 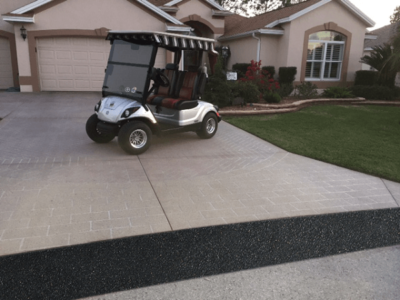 Curb Ramp™ can be spread over any sized driveway with any sized rolled curb gap to fit any slope. If you have questions or a special situation, feel free to contact us and we’ll offer our suggestion. Why risk damaging your car every time you use your driveway?